Electrical-related injuries are the second-leading cause of death in construction, so electrical safety should be a hot topic for anyone working at construction sites. These simple rules can make a difference with very little effort. This tip generated the most views and shares of any tip we shared this year. Very soon you'll be able to buy labor law posters from the same source you trust for top-quality safety and office signs: ComplianceSigns.com. 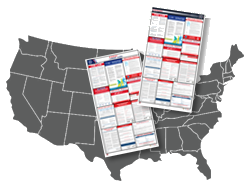 Our colorful, easy-to-read labor law posters will display all mandatory federal and state labor / employment notices for private industry or non-government entities. All our posters have been reviewed by a licensed attorney. We've done the research so you can buy with confidence. We'll send our customers a notice after the holidays when they're available, but you can contact us if you'd like to be notified immediately. The overall rate of fatal work injury for workers in 2015, at 3.38 per 100,000 full-time equivalent (FTE) workers, was lower than the 2014 rate of 3.43. Hispanic or Latino workers incurred 903 fatal injuries in 2015—the most since 937 fatalities in 2007. Workers age 65 years and older incurred 650 fatal injuries, down from 684 in 2014. Roadway incident fatalities were up 9 percent from 2014 totals, accounting for over one-fourth of fatal occupational injuries in 2015. The Department of Labor has issued a final rule that updates equal opportunity requirements, hoping to broaden career opportunities in apprenticeships for under-represented groups. The rule extends protections against discrimination to include age, disability, genetic information and sexual orientation. It also simplifies the process of ensuring compliance. Read more. In November, Federal OSHA investigators released information on 12 enforcement activities with proposed fines of $100,000 or more. These major fines totaled nearly $2.3 million. Fall protection and machine guards were common citations again this month. Here's some details on the top five fines. Many are still pending final decisions. OSHA just issued Recommended Practices for Safety and Health Programs in Construction to help industry employers develop proactive programs to keep their workplaces safe. The recommendations may be particularly helpful to small- and medium-sized contractors who lack safety and health specialists on staff. 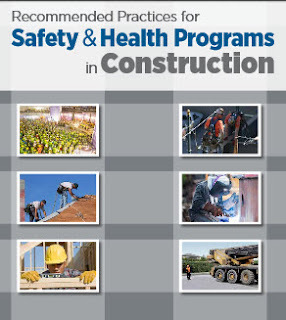 "The recommendations outlined in this document will help contractors prevent injuries and illnesses on their construction sites and make their companies more profitable," said OSHA head Dr. David Michaels.